Hartalika Teej Vrat is an important Hindu fasting observed by Hindu women and is dedicated to Goddess Parvati in North India. Hartalika Teej 2019 date is September 1, Sunday. It is one of three Teej festivals and is mainly observed in North India and western parts of India. Hartalika Teej is observed mainly in Bihar, Madhya Pradesh, Chhattisgarh, Jharkhand, Rajasthan and is some parts of Maharashtra. Popular belief is that by observing Hartalika Teej Vrat unmarried women will get good husbands. This Teez is observed by both married and unmarried women. Married women observe the Vrat for a happy and peaceful married life. Hartalika Teej is based on the intense austerities (tapas) observed by Goddess Parvathi to get Lord Shiva as her husband. 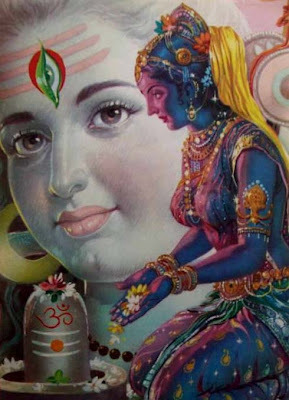 It is believed that Goddess Parvati will bless those women who observe the Vrat. The fasting rules of Hartalika Teej Vrat are very tough and some women even don’t drink water during the fasting period. According to Hindu Mythology, Shiva took no notice of the love of Parvati for very long time as he was haunted by the death of Sati. To get the attention of Shiva, Parvati performed severe austerities on the Himalayas for several years. Some Puranas indicate that Goddess Parvati did penance for 16 years and survived on grass and fruits. Finally, Shiva acknowledged Parvati’s devotion and love and agreed to marry her. Women observe Hartalika Teej Vrat in remembrance of Parvati’s deep determination to win over her love. It is believed that Goddess Parvati will be pleased with those women who observe the Vrat. There are several regional variations in the Hartalika Teej Vrat myth. But the essence is the same. Even today, many married women and unmarried women observe ‘nirjala vrata’ (severe fasting even without water). A grand feast is held after the fast in all houses. On the day, women wear green clothes and bangles which signify luck. Fresh fruits and green vegetables are offered to Parvati. Rice patolis, sweets and numerous delicacies are prepared on this day. Delicacies made out of coconut are a specialty. Hartalika Teej is the most important of the three Teej - the other two are Hariyali Teej and Kajari Teej. Swarna Gouri Vrat or Gouri Habba in Karnataka. How to observe Hartalika Teej Vrat?